Wow, those Tea Parties! I did not go to the one in Buffalo and now I think I should have. What fun! Not because I would like to have joined the protest. I have gotten to the point where I think it is useless to protest anything. I tried to protest my church closing, and no use, mean Bishop Kmiec closed it. I tried to protest my library closing, and you know what? It closed. Now we have no library at all in North Buffalo because the paltry branch they grudgingly left open closed, too. I did not want the Aud knocked down and I did not want "Artemis and the Stag" sold and I am not wild about this huge deficit, either. But guess what? Nobody cares what I think. So. Here is the real reason I wish I was at the Tea Party. 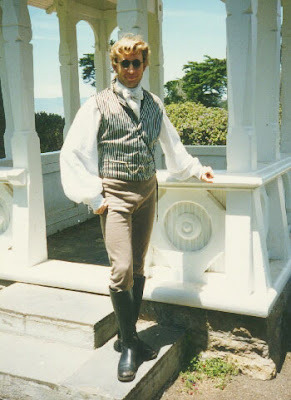 I love men in 18th century clothes! ...were hard-wired permanently in my mind when I was a teenager and watched the Masterpiece Theatre series "Poldark." Check out that picture at the top of the post. Ha, ha! That did not come from the actual show. There was this one family who held a picnic in Cornwall and they all dressed up as Poldark characters. I guess I am not the only one with a taste for frock coats and ruffled shirts! 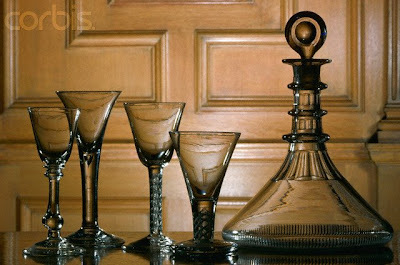 I also like those decanters of brandy everyone in British movies keeps handy at all times. I asked Leonard Pennario if those brandy decanters really are everywhere in those grand British houses and he said yes. That is the kind of thing Pennario and I would be discussing when we should have been talking about Beethoven. 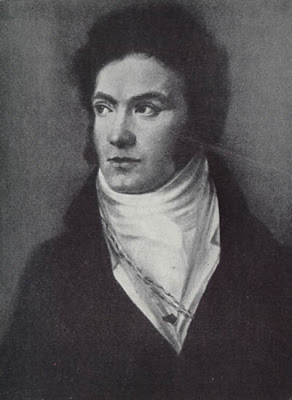 Speaking of which, by the time you associate with Beethoven, which would be the early 1800s, the fashions had slid. Those empire-waist gowns could make you look fat and the guys, Beethoven included, all had those sideburns. That is one reason I could never quite jump on the Jane Austen bandwagon. People do not know this about Beethoven but before he got old and scruffy he was a clotheshorse and a fashion plate like Mozart. 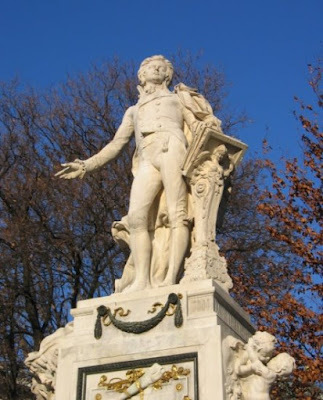 Here is a picture of Beethoven with his 'burns. 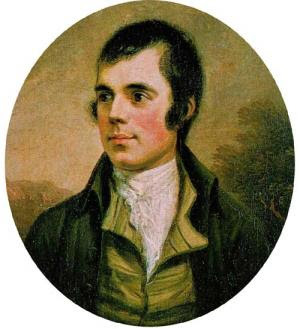 What about Robert Burns? He was from the same time so he had them too. I could talk about this all day! But alas. Speaking of fashions going to pot, my morning is going to pot. I must go and take my daily constitutional. No empire-waisted gowns for me!